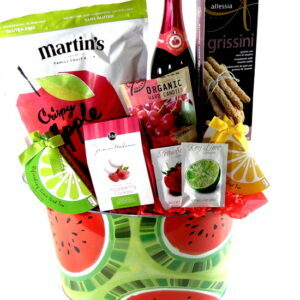 Bath gift basket is a great gift basket to send for any occasion. Free Toronto hand delivery. This spa gift basket is great for Mother’s Day, Happy birthday, get well soon, Thank you, Happy anniversary, Mothers Day or just to say relax and enjoy your day. 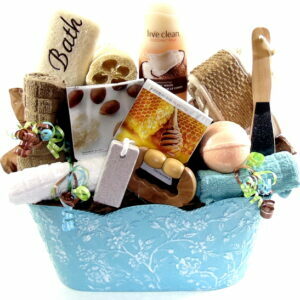 Bath Gift Basket is a great spa present to send for any occasion. Free Toronto hand delivery. This spa gift hamper is great for Mother’s Day. Happy birthday. Thank you. Happy anniversary. Welcome Home. New Job. All the Best Wishes. or just to say relax and enjoy your day. 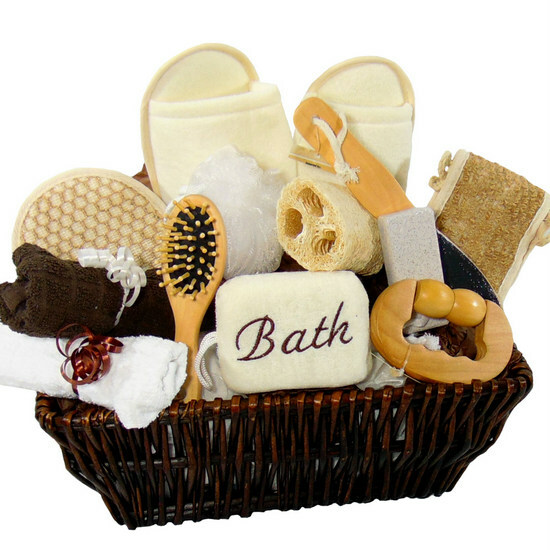 Bath Gift Basket brown wicker basket contains: sponge. slippers. wooden massage roller. wooden hair brush. foot file, pumice stone. pad. loofah cotton terry back strap. loofah. white puff. brown face towel. white face towel. Enjoy Your Day. Relax. Happy Birthday. Get Well. Welcome Home. Thank You are some of the messages send with gift package.